A tape measure can be used to make sure the hive body is a rectangle. Assembling hive bodies is one of the first tasks a beginning beekeeper has to accomplish. Frames are added to the hive body and then they are stacked on top of each other to provide a home for the bees. In order for the hive bodies to stack properly, it is important to make sure that the hive bodies are square. The standard advice when assembling any kind of box is to use a tape measure to make sure diagonals are the same. 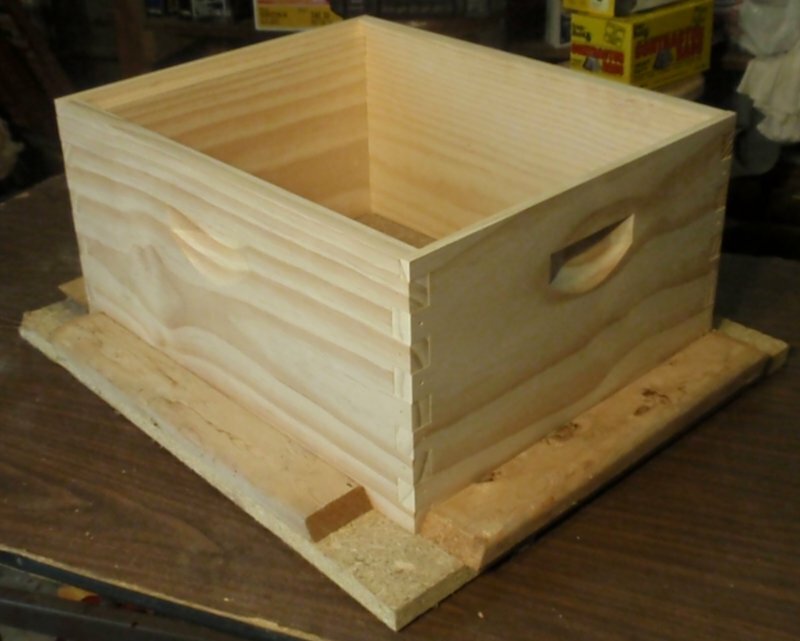 Once you have one box properly assembled, there is a faster way to build the rest of them. Once you have one hive body, you can create a jig. I learned this tip from a neighbor who is a trim carpenter. Take a pre assembled hive body or honey super and place it on a sheet good (could be plywood or mdf in this case). 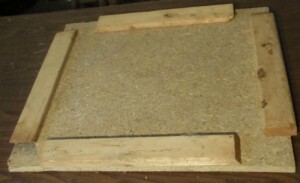 Then take four pieces of scrap lumber, snug the lumber up to the sides of the hive body, and nail the pieces in place. That is all there is to creating the jig. 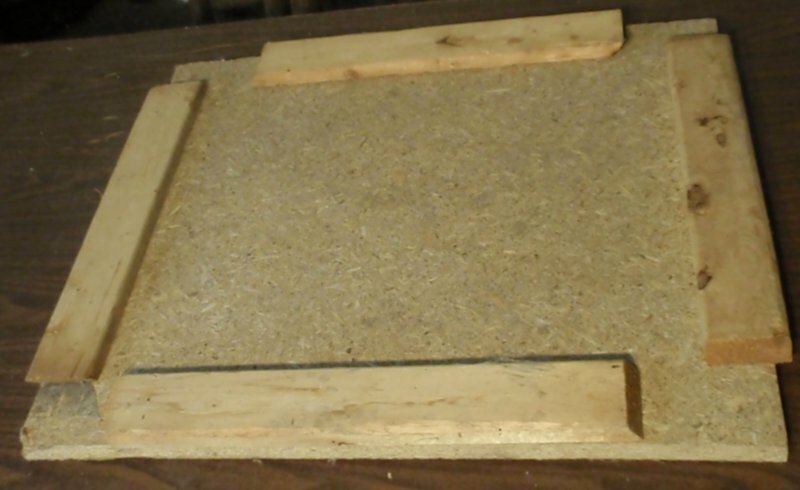 Although simple to build, the jig saves plenty of time down the road. Once glued, the hive body is placed in the jig and is ready for nails. To use the jig, first glue the joints of the hive body. Then assemble the hive body and place it in the jig. You are now ready to nail the hive body together. I have used a jig like this when assembling my deep hive bodies and medium honey supers for years. It has sped the process and ensured that my hive stacks properly. If you have any questions about this jig or any hive body construction tips to share, please let me know in the comments section below.